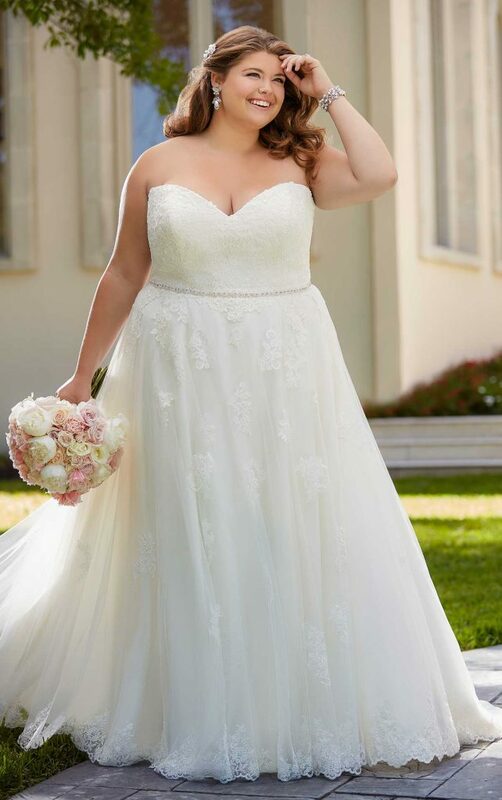 With its figure-flattering, A-line silhouette, this lace and tulle over matte-side lustre satin boho gown highlights and slims your waist with its detachable, beaded belt. The bold, lace detailing of the boho-inspired wedding dress carries softly onto the light-as-air skirt, creating a romantic pattern. Featuring a soft, lace scallop hem that completes the look beautifully. This boho bridal gown has the option of a lace-up back or zip up beneath fabric buttons.